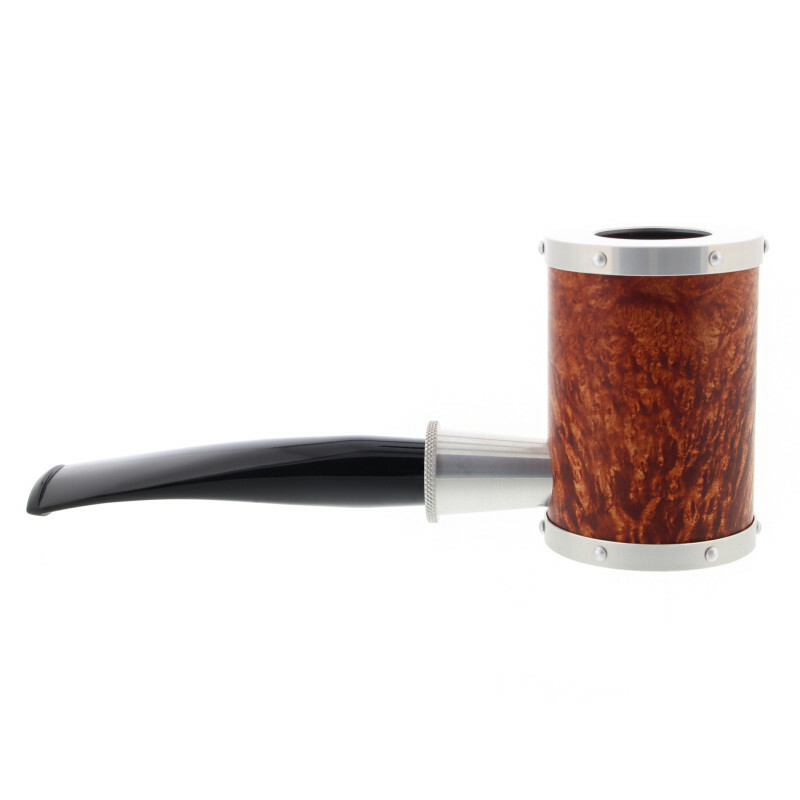 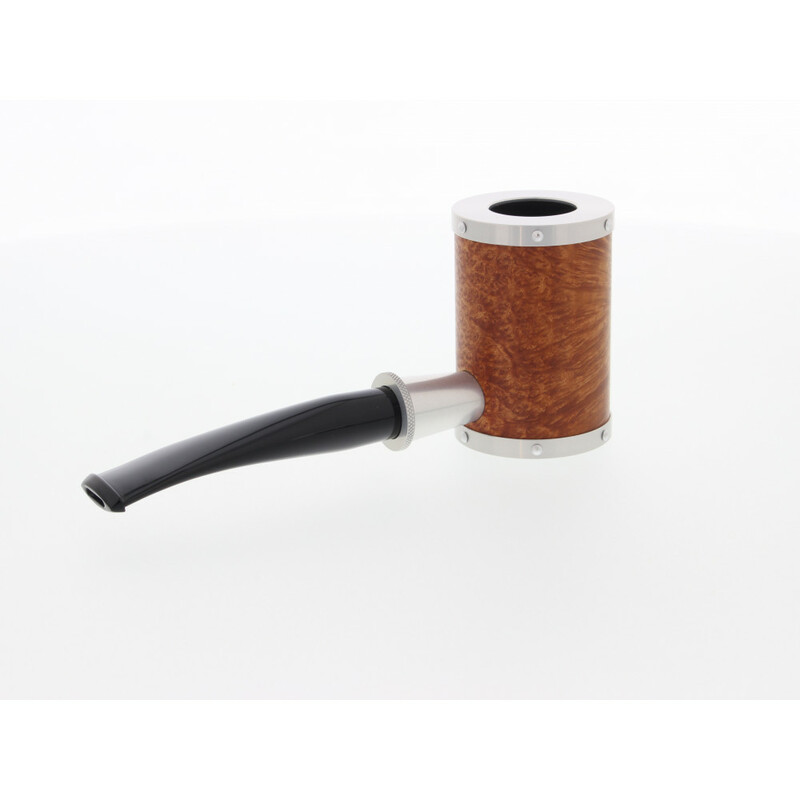 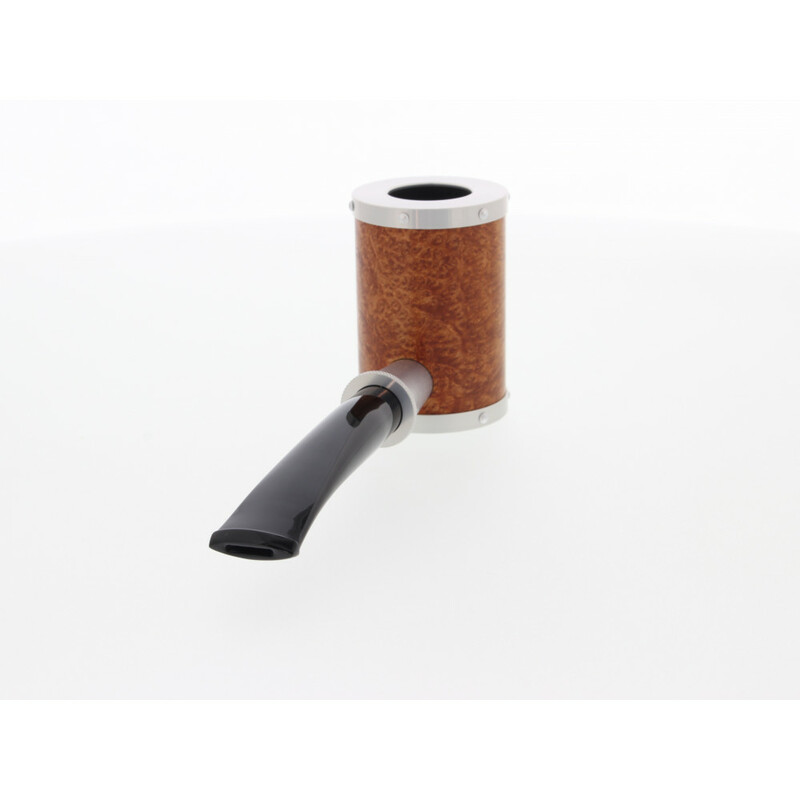 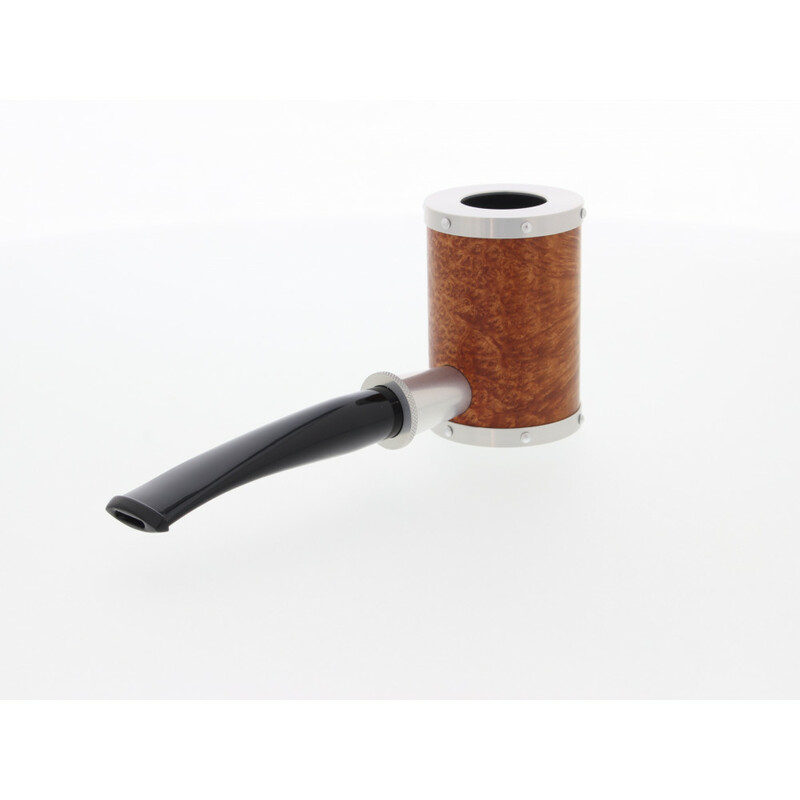 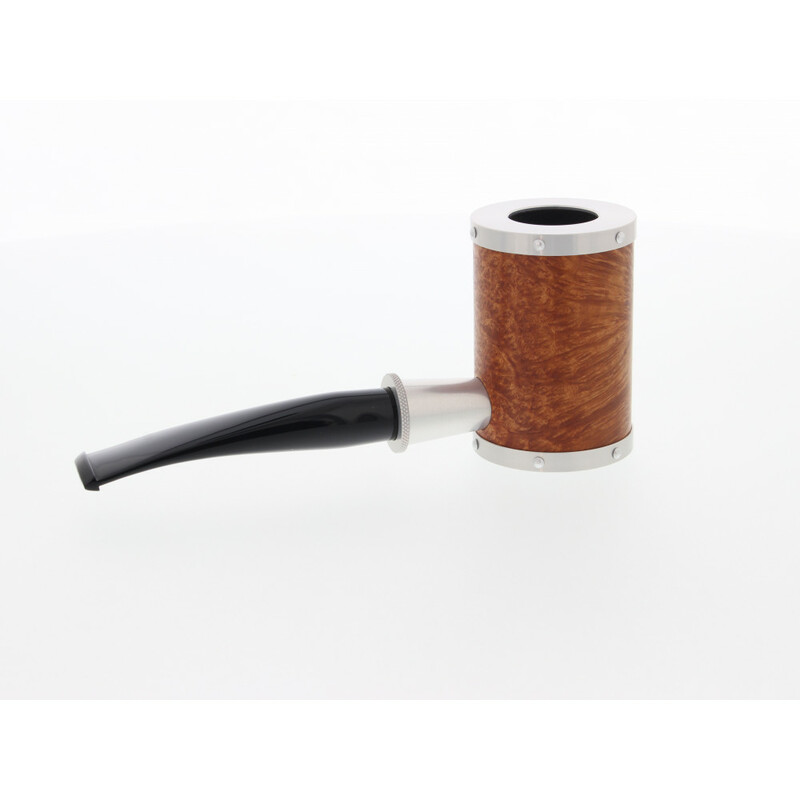 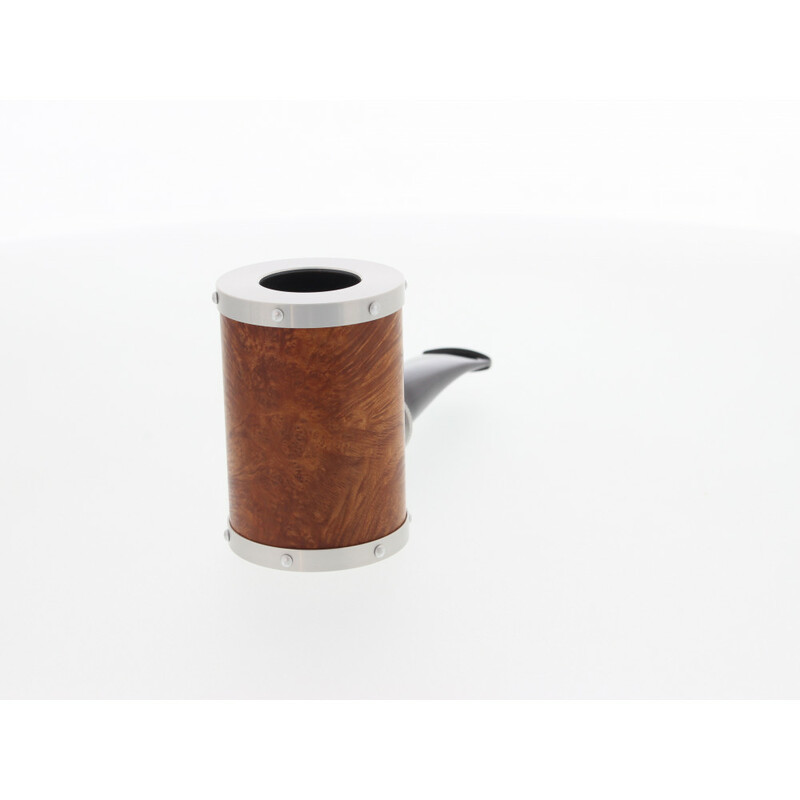 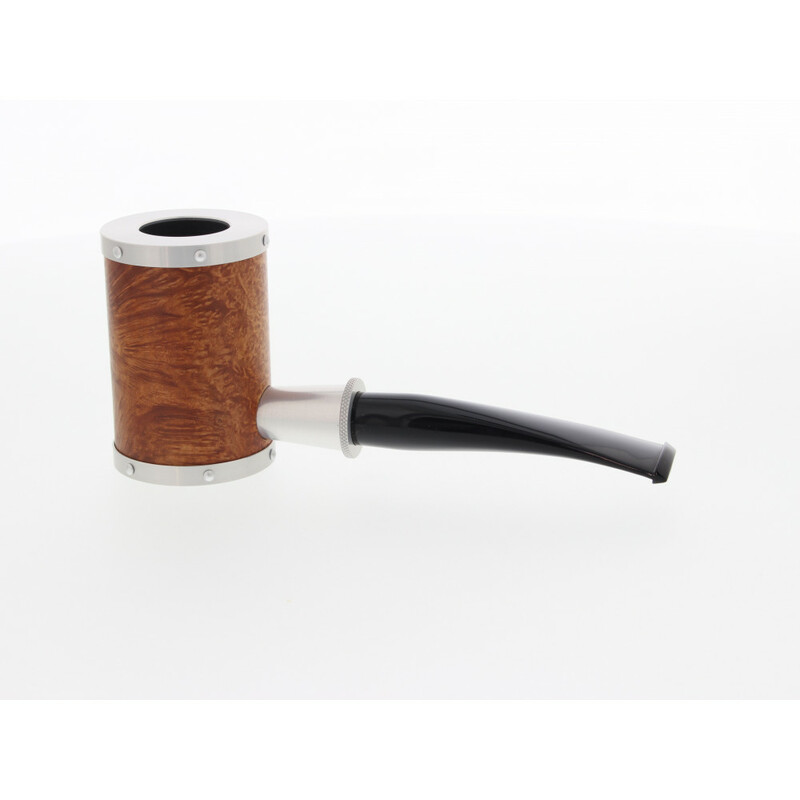 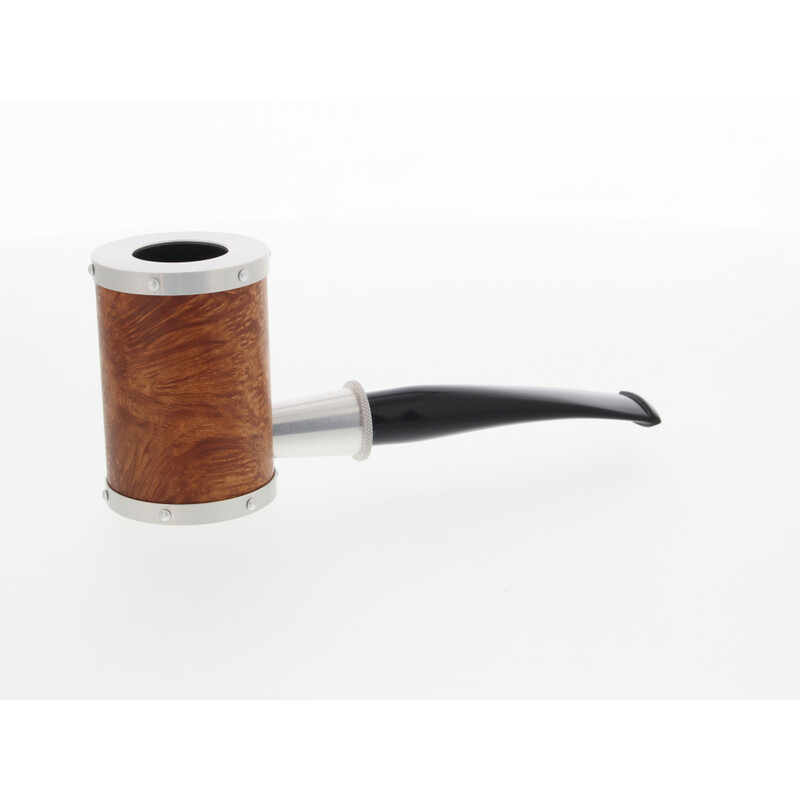 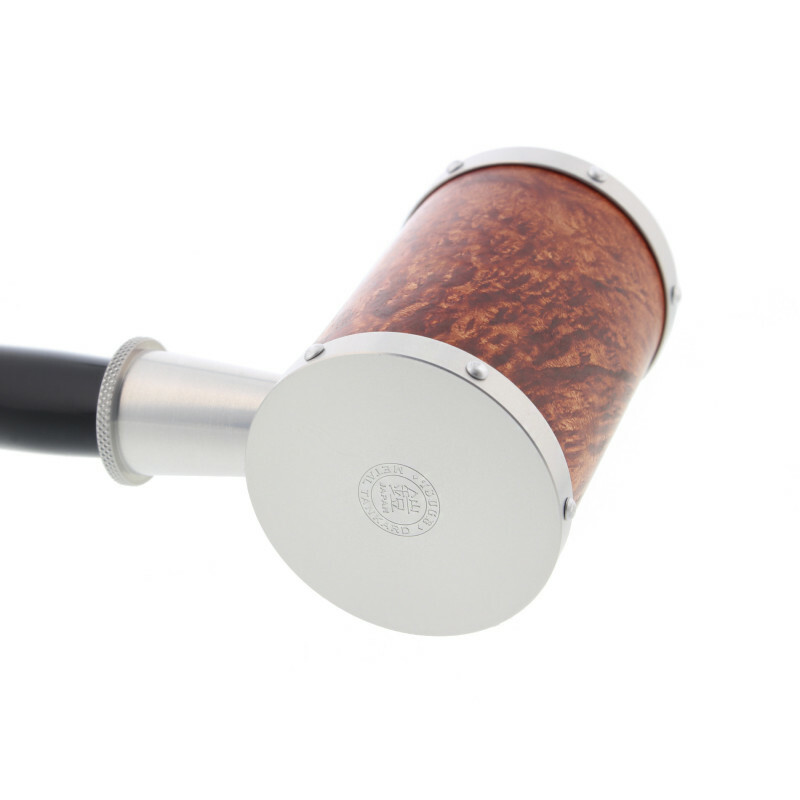 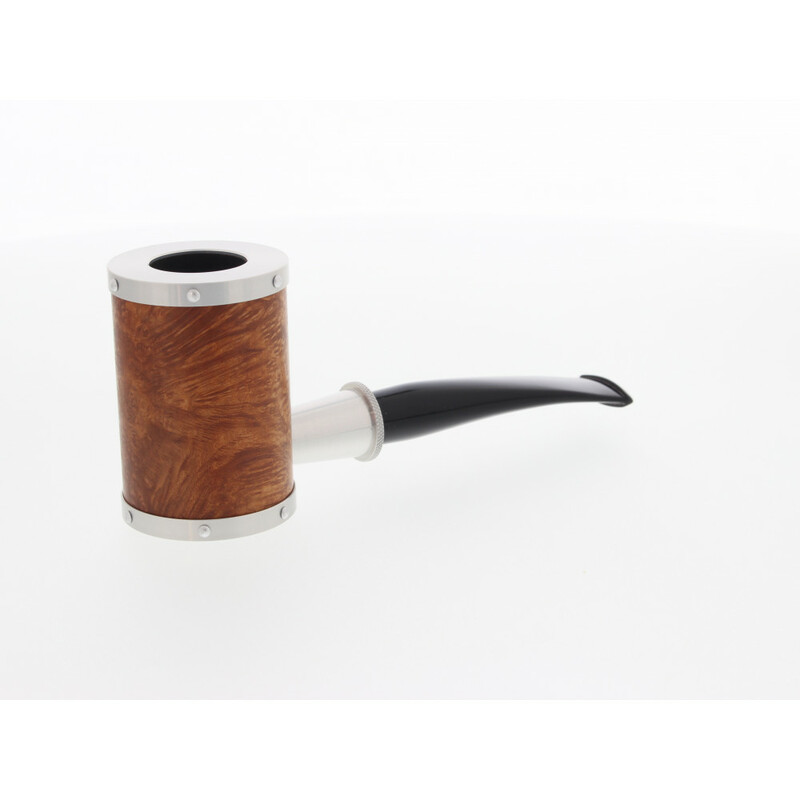 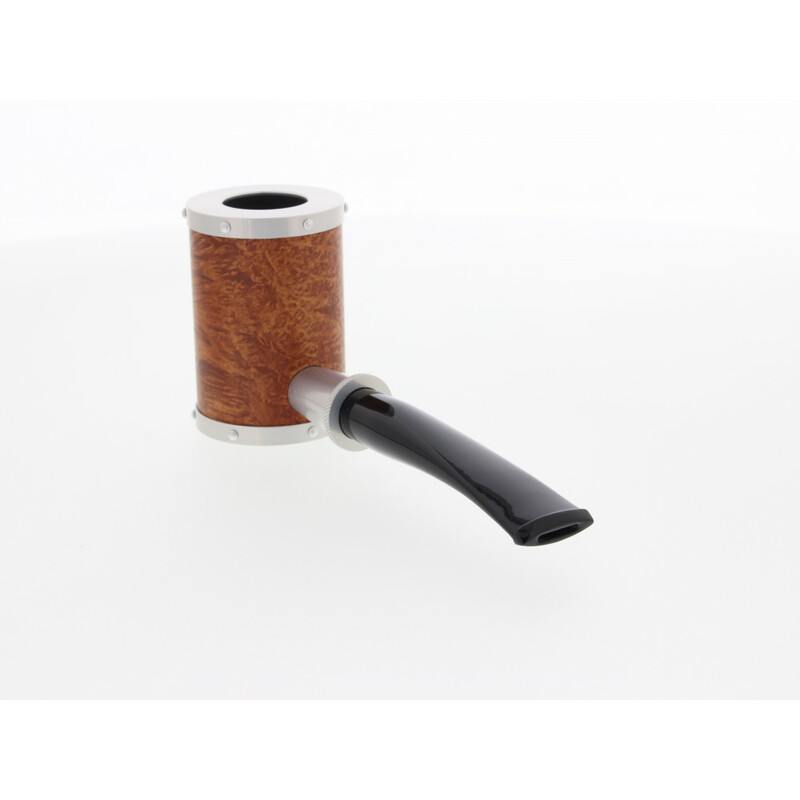 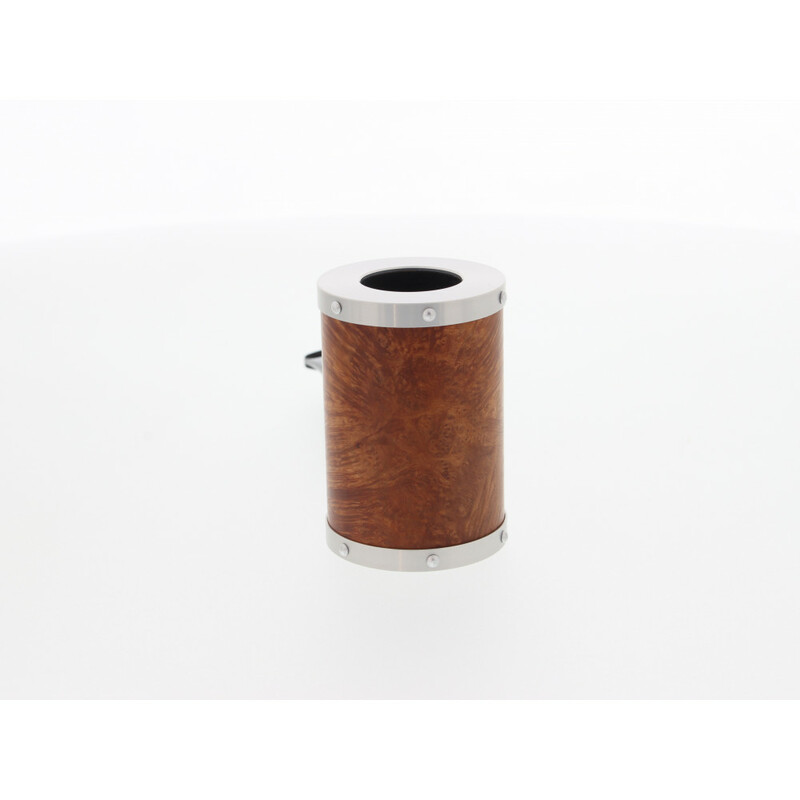 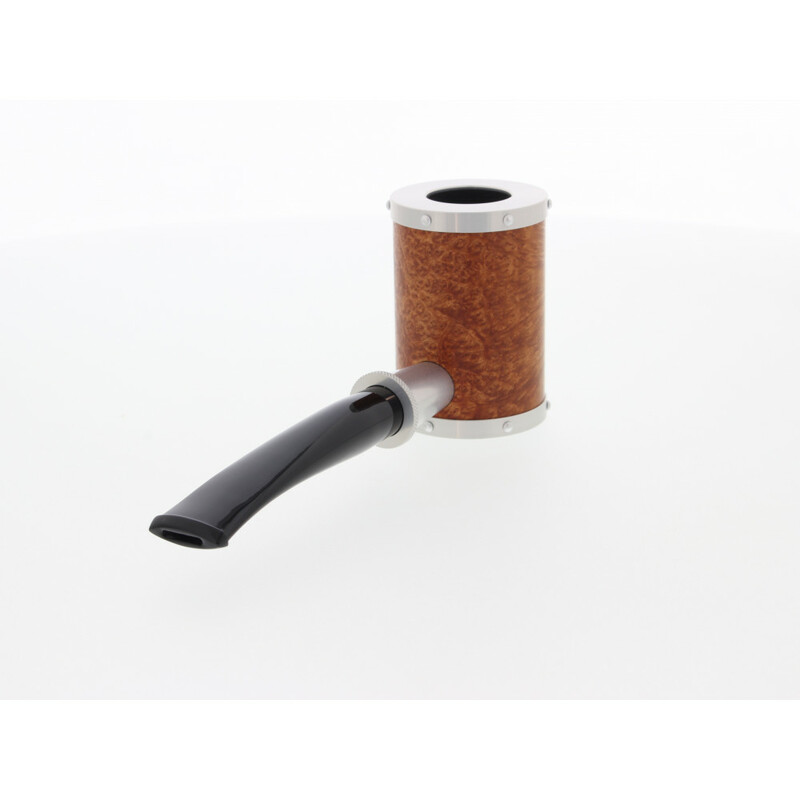 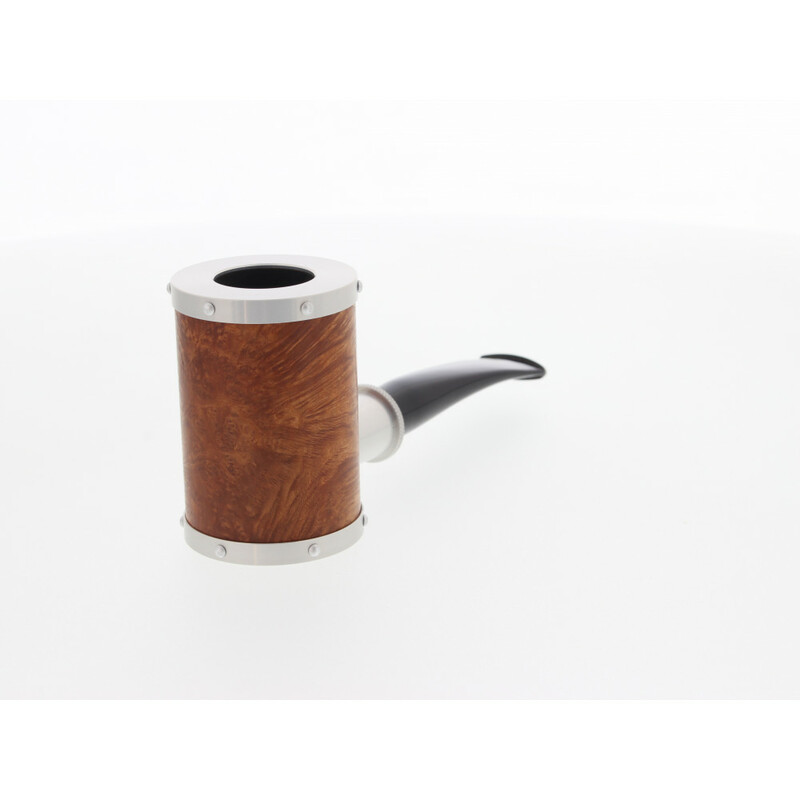 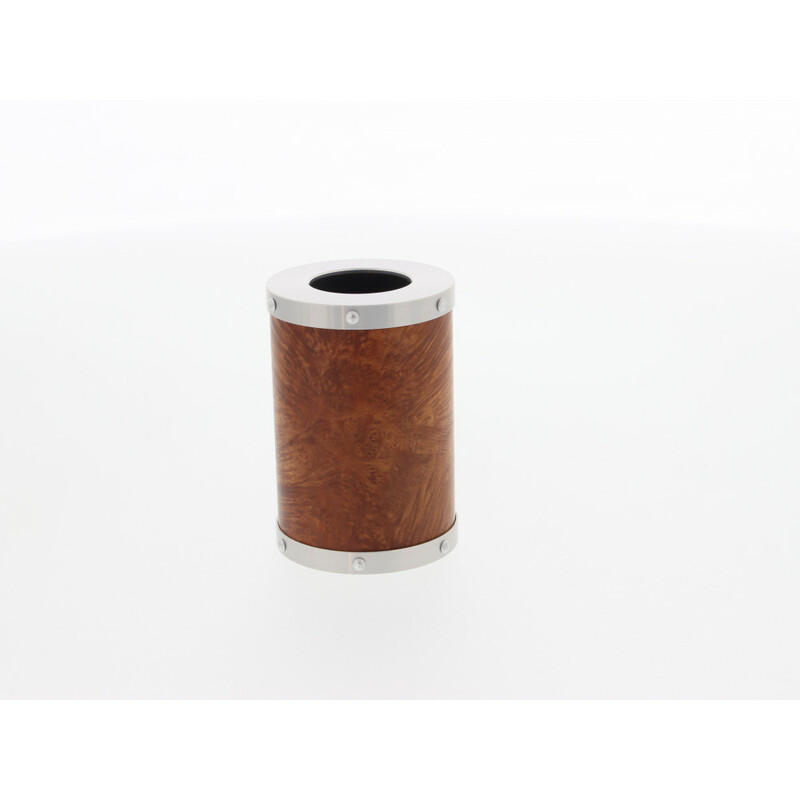 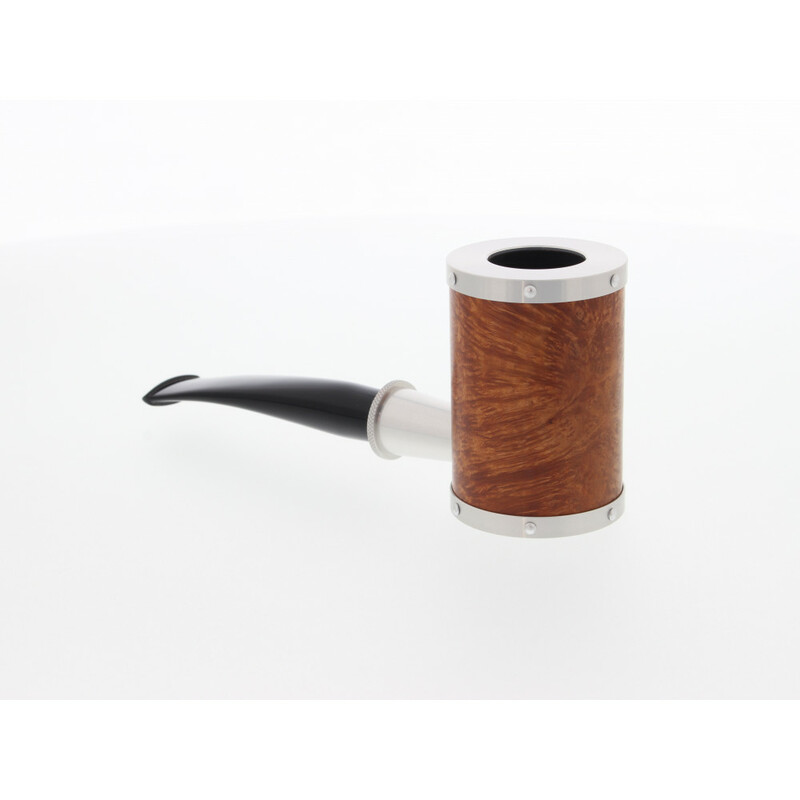 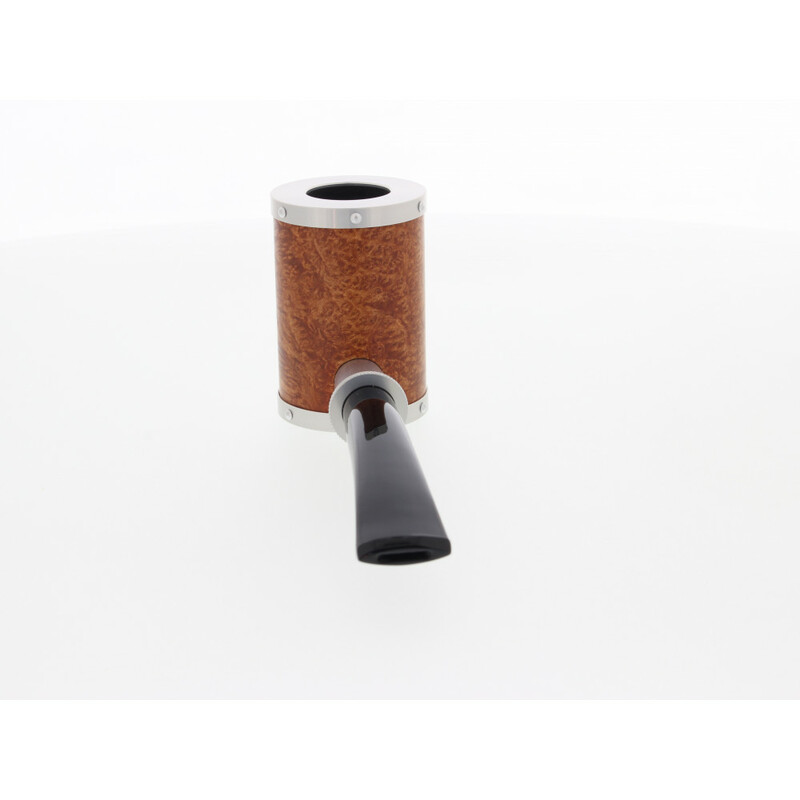 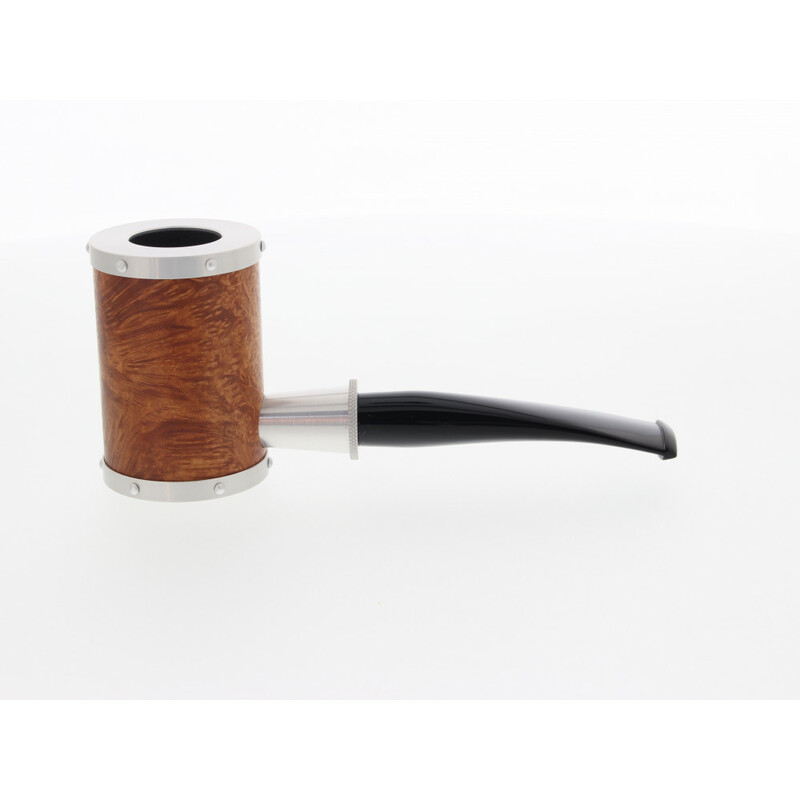 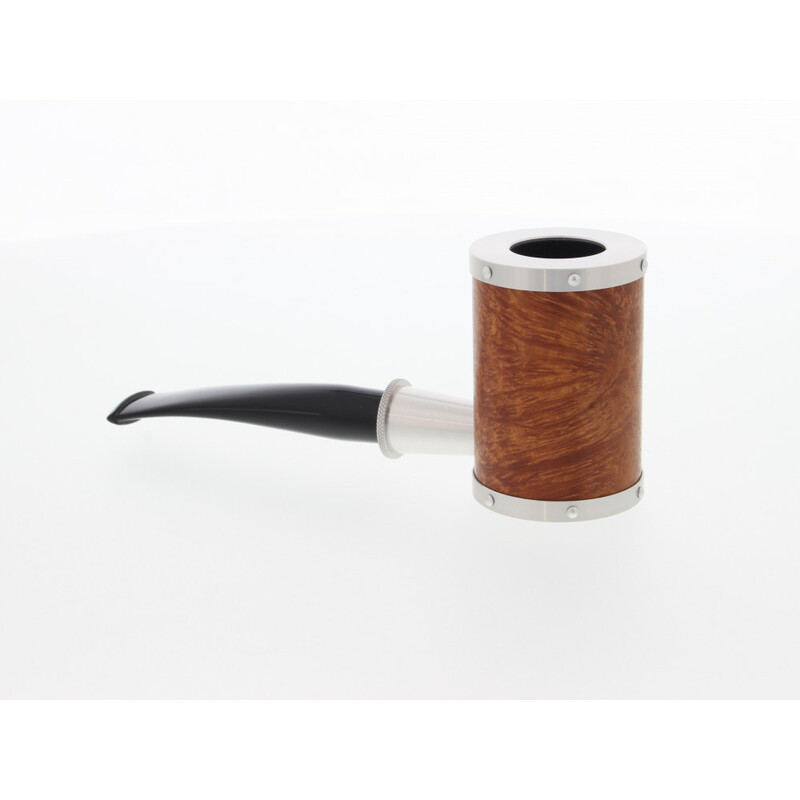 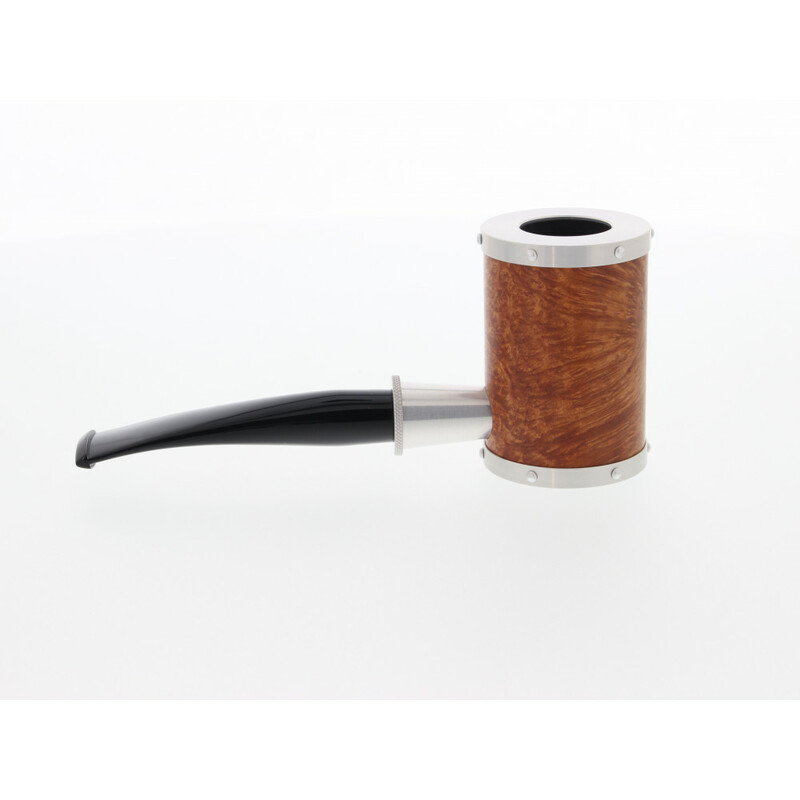 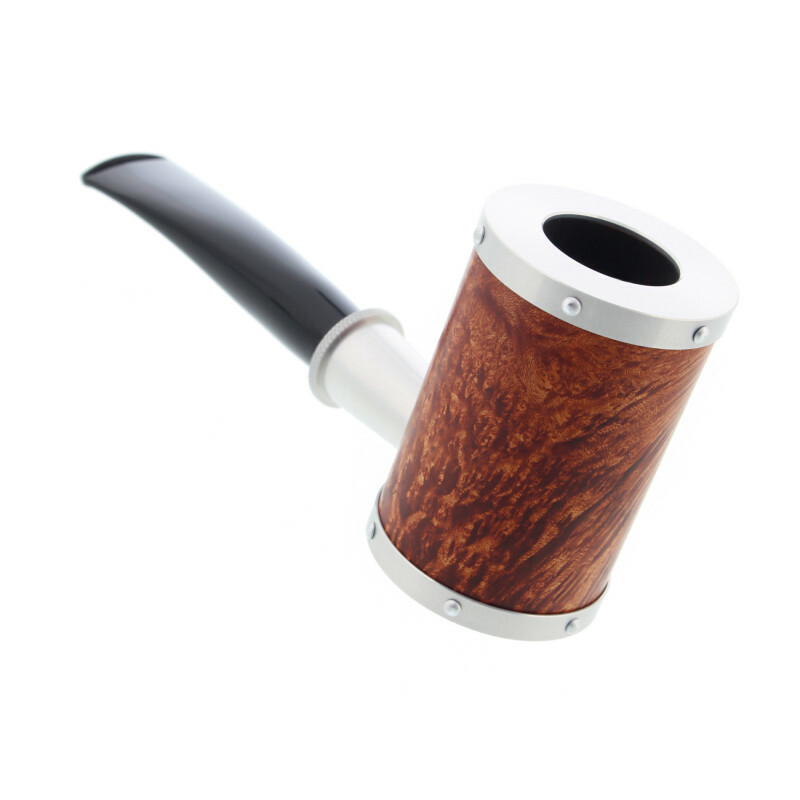 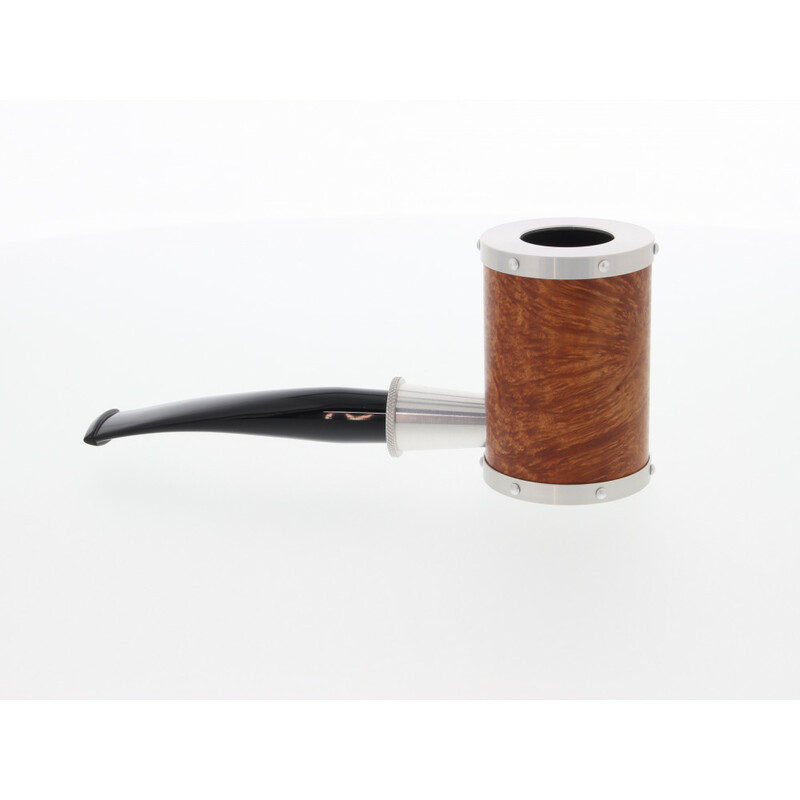 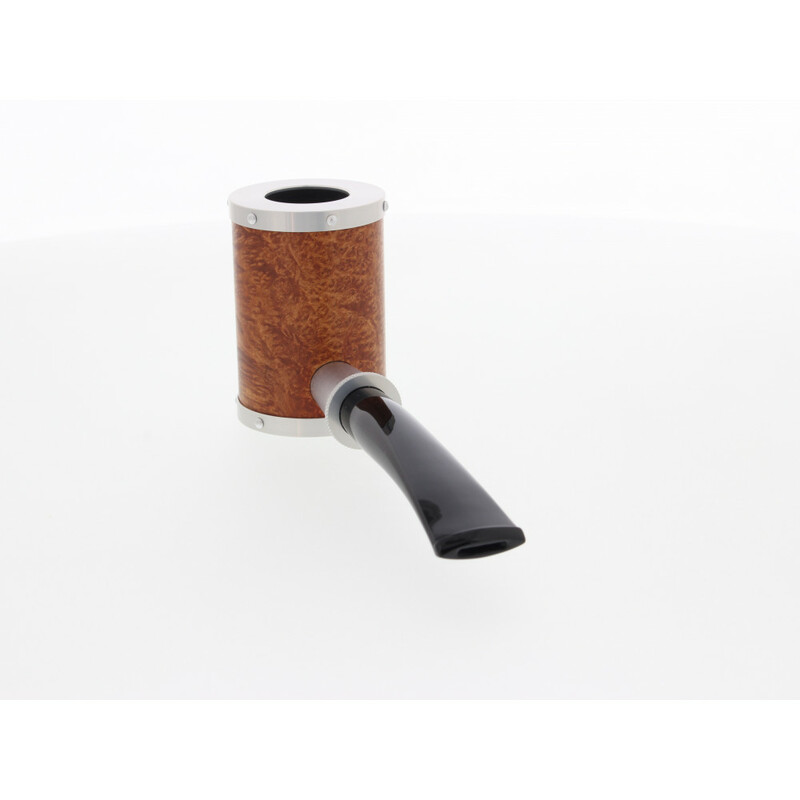 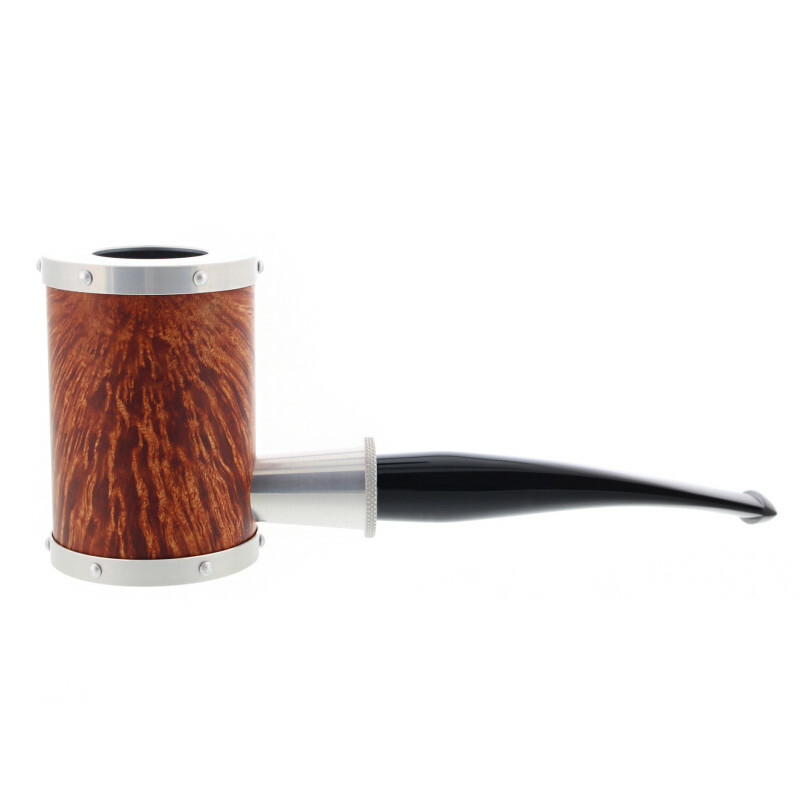 Made in Tokyo, this Tsuge pipe is the result of the combination of several materials: briar wood, carbon and metal. 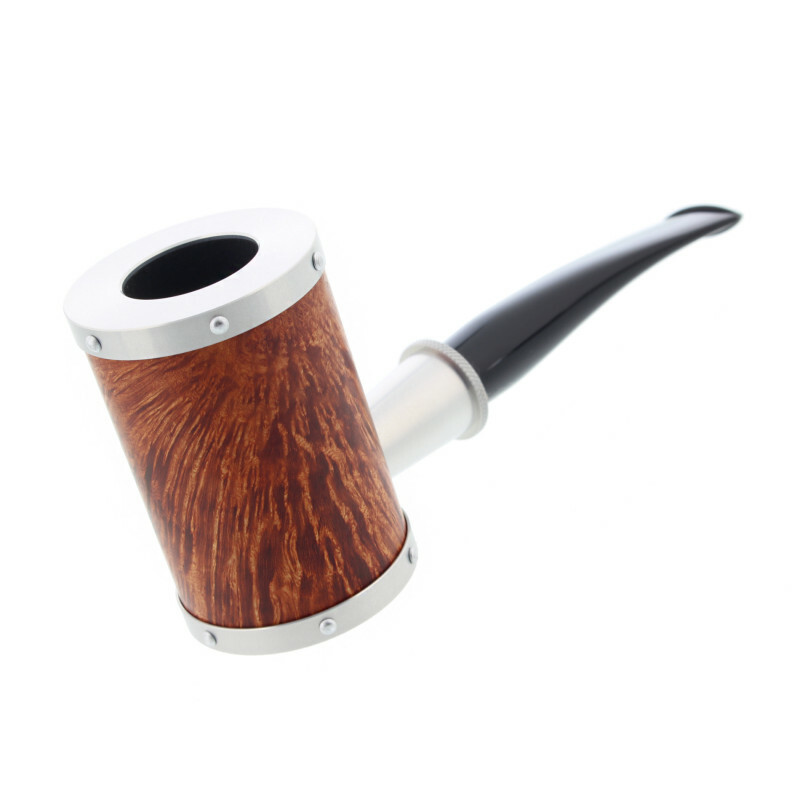 This pipe carries a very specific name, Yoroi (meaning armor or shell in japanese). 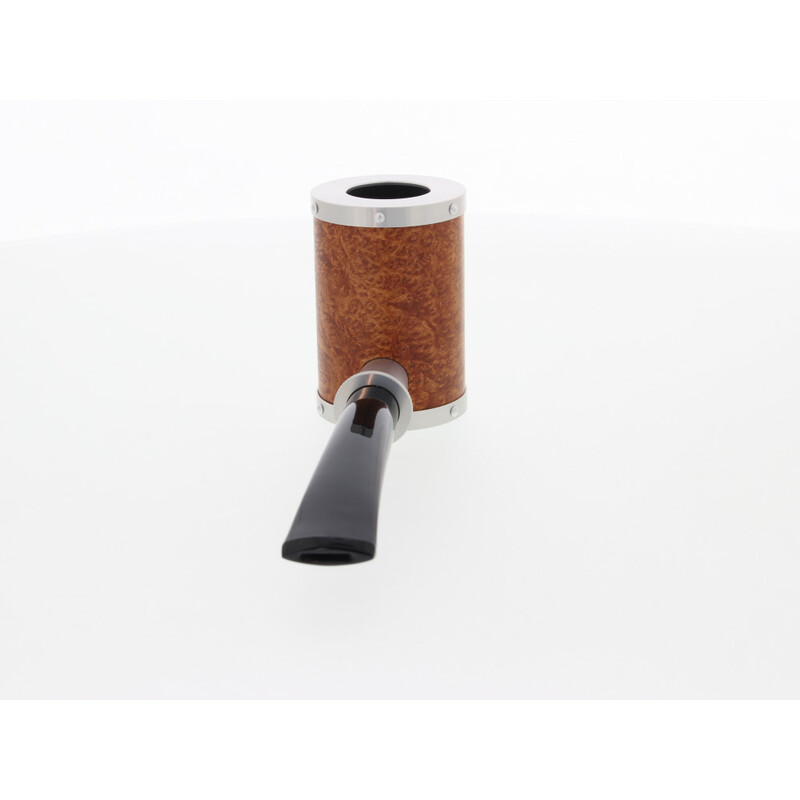 The whole surface of the bowl is left natural so you can see the grain and veins of the wood. 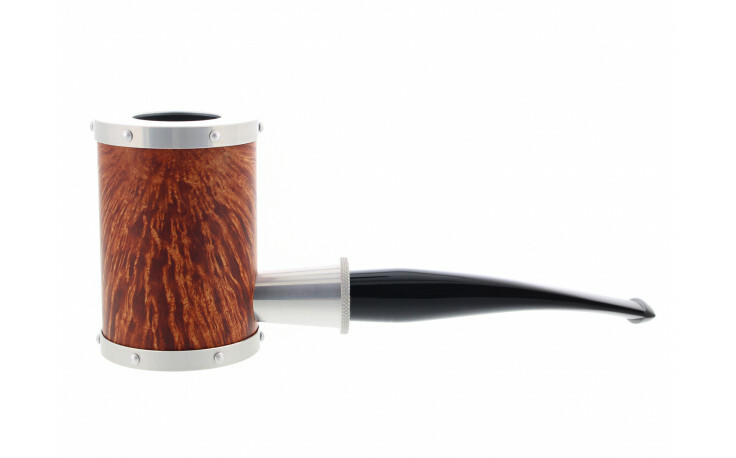 There are flames on one side and birdeyes on the other. 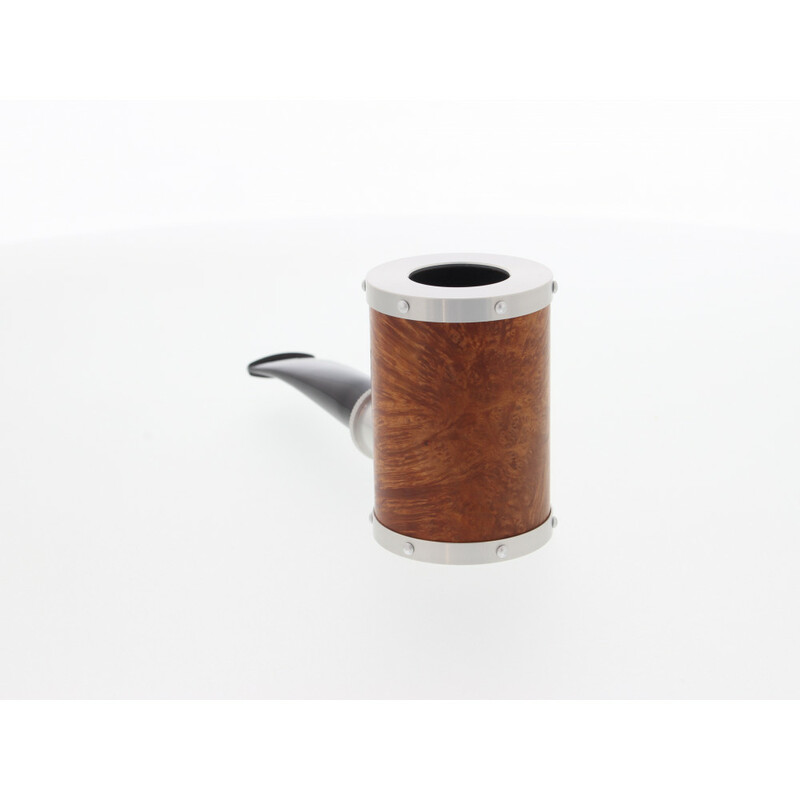 High grain briar wood along with silver metal. 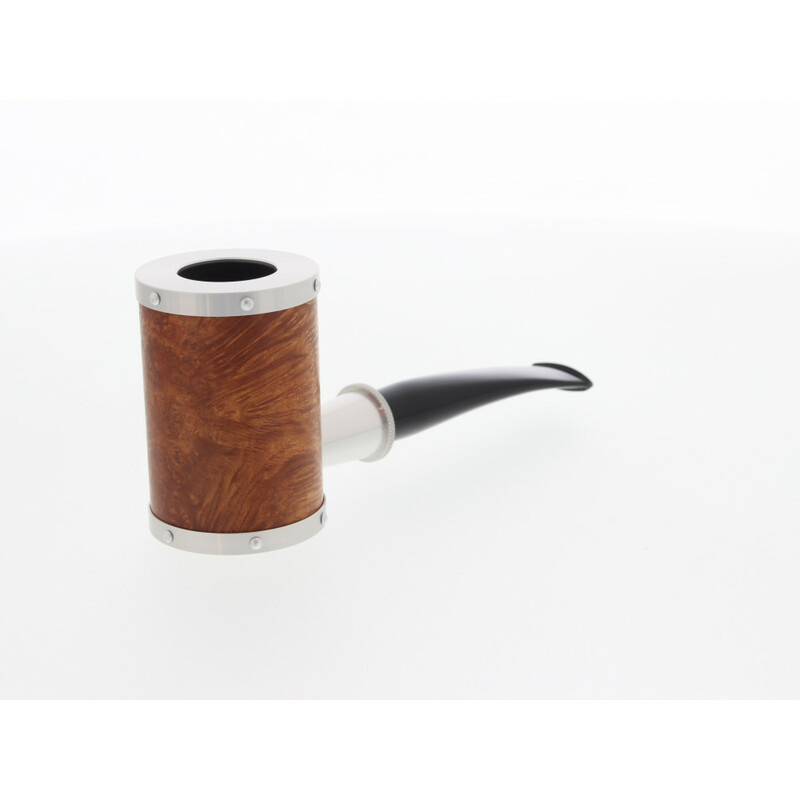 Between modernity and tradition.